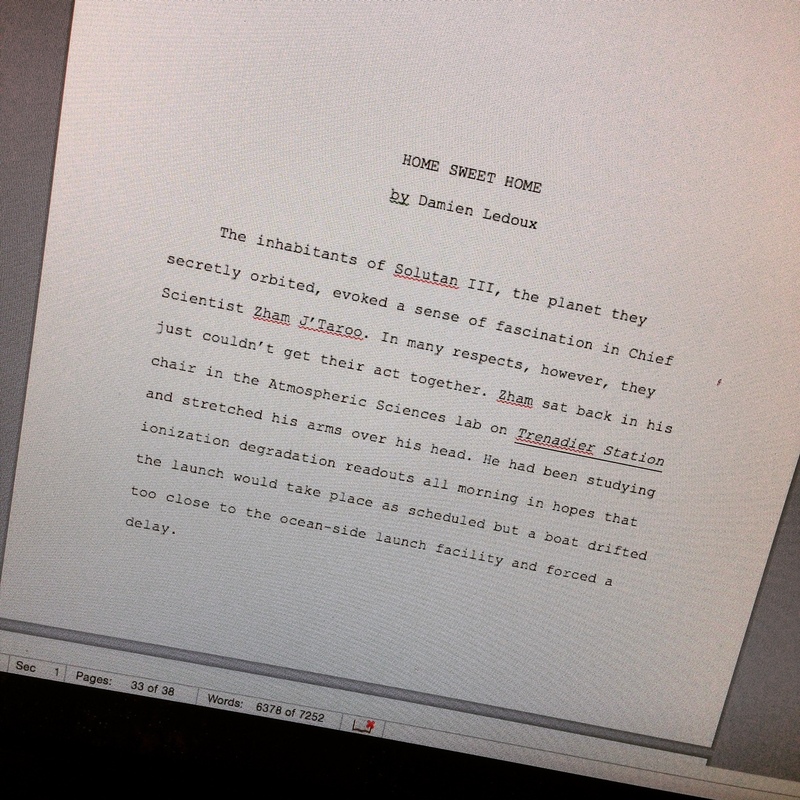 A few days ago I submitted my science fiction short story manuscript for Home Sweet Home to LIGHTSPEED Magazine for the Queers Destroy Science Fiction edition. I am really excited for this opportunity, but it comes with some necessary recognitions. Tara – She finds the things that won’t make sense to fresh eyes and points them right out to me! Blake – He brings his editor’s chops and fixes all those annoying little typos and helps develop the occasionally odd phrasing I enigmatically employ. Like that one. Tim – my supportive fiancé – he helped bring balance to some of the overly dramatic—or underly dramatic—moments of the story. Thank you my love for reading the first rough draft and the finished product. Without you some scenes would not have taken life! I’m so excited! I’ll keep you posted on its status!